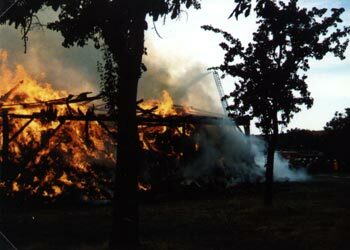 Struck by a lightning, a shed had caught fire. 7000 bales of straw and 2000 bales of hay were in it. There was a house only 10 meters away from the shed. VFDs from Nittenau, Bergham, Bruck, Fischbach, Kaspeltshub and Neuhaus were alarmed. 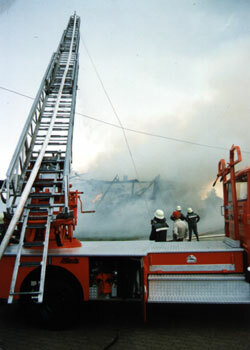 The owner of the shed had already begun fighting the fire and tried to cool the house. 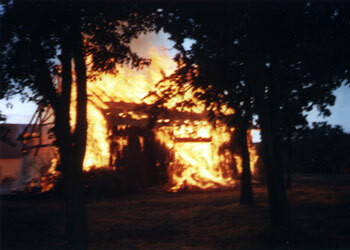 The shed burnt down completely, the house could be kept safe. After an hour the fire was extinguished.